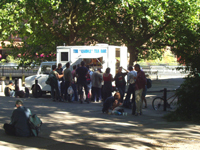 FAITH Christian Group was started in 1990 as a response to a need which its founder, Jim McConnell, saw on the streets of Reading. In the beginning, the FAITH office was based in the front room of his house and both we and Reading owe him a debt of gratitude for pioneering this work. Following those beginnings, a small van was purchased, and a drop in centre opened running every Sunday at St Andrew’s Church hall near the Royal Berkshire Hospital in Reading. FAITH then went mobile with the purchase of what was to become the Candle Tea Bar. This has been out in Reading Town Centre on Sunday afternoons almost every Sunday. It was also used at events such as the Reading Rock Festival, the West Reading Carnival, South of Reading Churches Fun Day and for children’s outreach on some of the local housing estates. 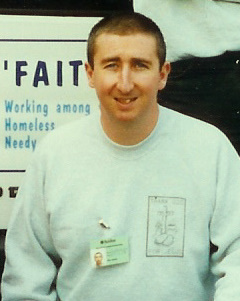 When Jim stepped down from running FAITH in 1998, the project manager’s role was taken on by Paul Hughes. Paul served us faithfully for several years. We moved to premises at Chatham Street in Reading which we shared with Christian Community Action (CCA) for about two and a half years. From there we had a brief spell at the old Community Centre on the Coley Park estate which we shared with Parents and Children Together (PACT) but unfortunately that came to a rather smelly end as we were flooded with sewage on several occasions! 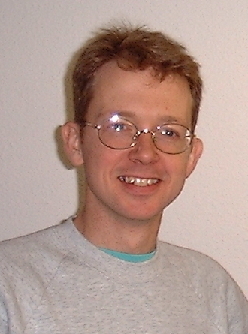 With Paul leaving in 2003, Chris Milton took over the day to day running and organised the move to new premises. Chris had joined FAITH as a volunteer during the summer of 2002, and oversaw the start of The Answer bible study, and also the running of the Stepping Stone project in Reading town centre. Chris was able to undertake Theological study whilst with us. He left in July 2006 in order to complete the final year of his studies full time and went on to work with Faithworks in Bournemouth.